The Soldius solar charger is a universal battery charger that can be used for mobile phones and other small to average electronic gadgets. 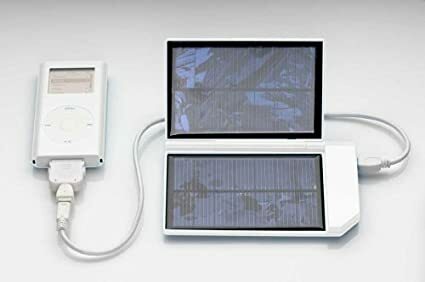 The solar charger uses great quality solar cells and has given the solar panel a sleek and stylish look. Usually, solar chargers have an internal battery, but this one doesn’t. The Soldius solar charger is an intelligent device which efficiently charges your gadgets. The Soldius solar charger can charge a device in a few hours. Within 10 minutes, most mobile phones can reach 50 % of their charge. A few minutes of charging using the Soldius solar charger can give you the time required to make emergency calls. The solar charger by Solidus has to be placed under the sun for it to charge (obviously), but the catch is, it is so fast that it just requires a few minutes to start charging an external device. The solar panels of the charger can produce about 2 watts of power, which is almost twice the amount produced by usually solar panels. This eliminates the need for an internal battery in the Soldius solar charger as it can sustain itself quite easily and quickly. The intelligent charger electronics used by the Soldius solar charger can recognize the type of device being charged and it can also adjust the power outlet from it accordingly. The Soldius solar charger is very simple to use and is eco friendly as it does not use environment harming materials in its constructions. To use the Soldius solar charger, open the solar charger and expose it to the sun, making sure it gets maximum sunlight. Next, connect the cable end of the connector tip which is compatible with your device to the device. The other end of the cable has to plugged into the solar charger. The charging process will start in a whopping 30 seconds. The Soldius solar charger sadly cannot charge the new iPhone 4 and 5 as they need a higher amperage than provided by it. However, the connectors for Nokia, Sony-Ericsson, Motorola, Siemens and Samsung mobiles are added to the package as it can easily charge them. There are also 2 extra connectors for iPod mini and shuffle.